The camps are designed for schoolchildren aged from 8 years old and upwards. 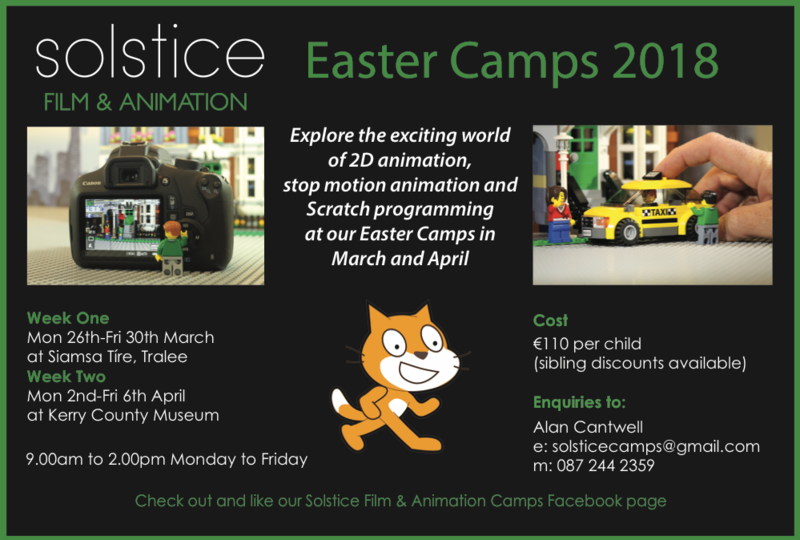 The camps will feature a mix of 2D animation, stop motion animation and Scratch programming. Each camp will run from Monday to Friday from 9.00am to 2.00pm each day. The courses will provide a range of content to allow the participants interact and engage in task-based and collaborative activities. The cost of each camp is €110 per child (with a sibling discount of €200 for two children and €280 for three children). 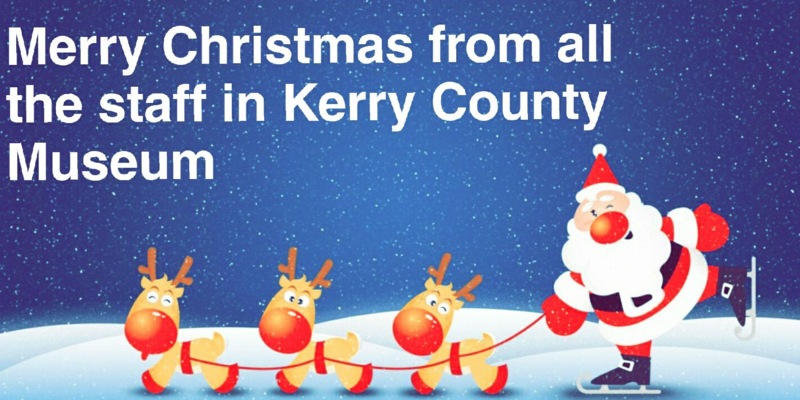 Kerry County Museum will close at 4.30pm on Saturday 23 December 2017 and will re-open to the public at 9.30am on Tuesday 2 January 2018. 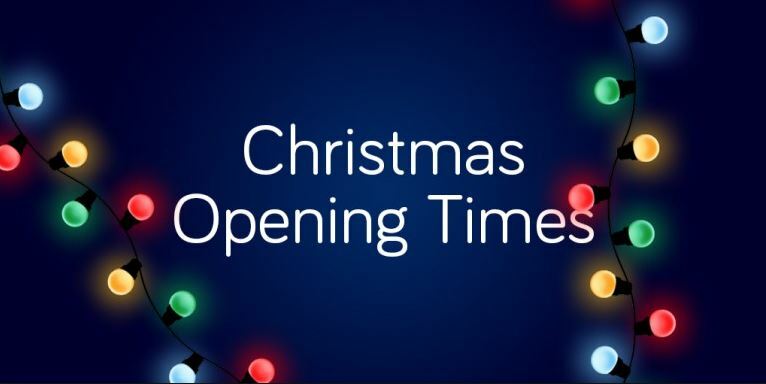 We would like to take this opportunity to thank all those who visited us in 2018 and you wish you all a merry Christmas. 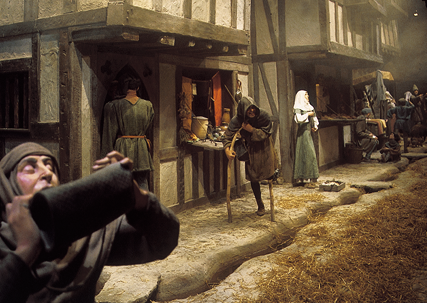 The medieval experience is currently closed due to ‘Festive Hall’ preparations. It will re-open as the medieval experience in the first week of January 2018. We apologies for any inconvenience caused. 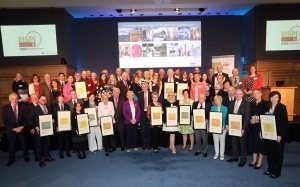 Speaking at the event the Chairman of the Heritage Council, Mr. Michael Parsons, said, “What we see through this programme is that Ireland’s museums are exciting and vibrant places where the staff are working hard, often with very limited budgets and resources, to ensure that the collections in their care are protected and made available to the public. 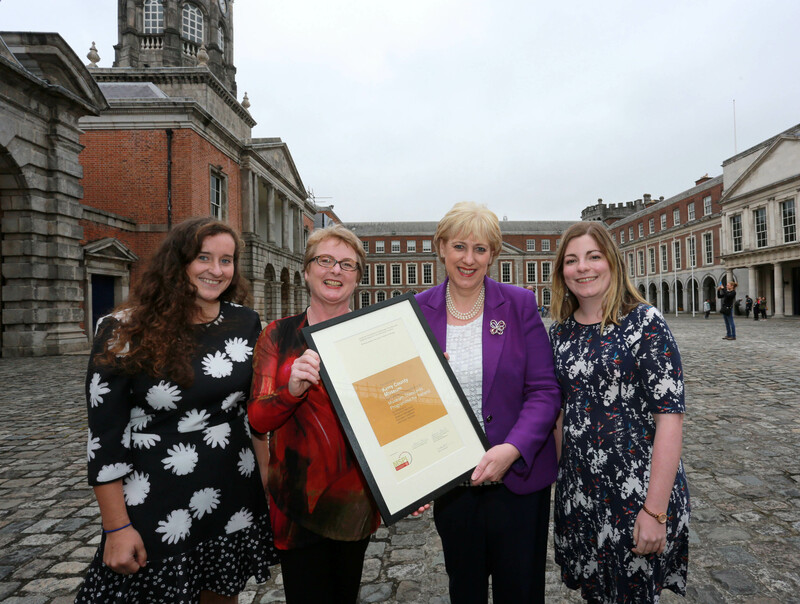 Not only is this important work from a cultural point of view, it also supports tourism in a locality and helps people feel proud of the place where they live”. 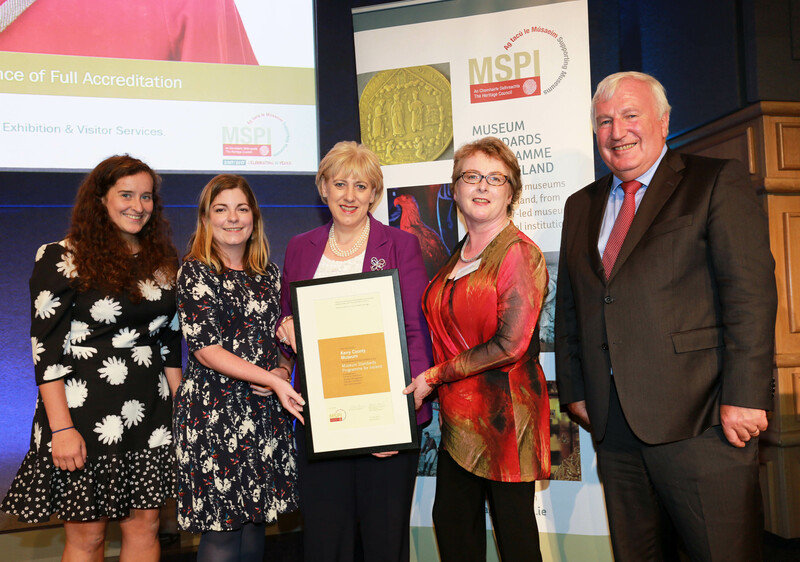 In its journey through the accreditation process Kerry County Museum has consistently demonstrated the highest professional standards across every area of its work and this is in no small way reflected in its commitment to achieving and maintaining the requirements of MSPI accreditation. During the first assessment visits the museum staff expressed clearly how the museum should develop to be a museum for the whole county and be recognised as a centre of excellence. The reorganisation of local government has helped to cement that vision and the museum is now, beyond doubt, The Kerry County Museum in name and nature. 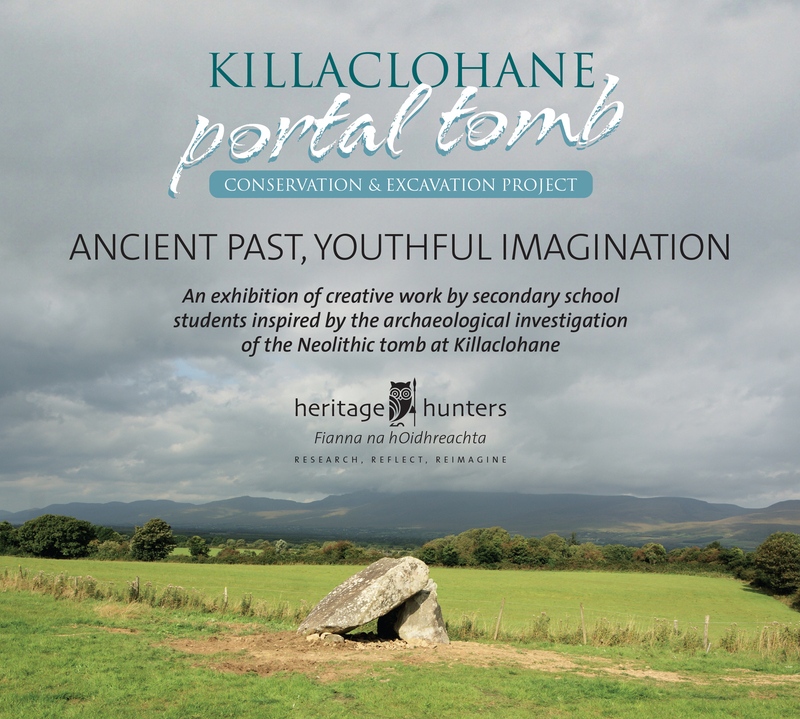 Its Assessor commented, ‘Every time I visit the museum I am impressed by some new innovation or exhibition. The term ‘blockbuster’ is not inappropriate for some of the major temporary exhibitions which the museum has staged in recent years, and the current offer: “Casement in Kerry: A Revolutionary Journey” maintains that first class track record. Designed and produced by the museum staff, at relatively low cost, the exhibition is evidence of the museum’s ability to stage well-researched, topical exhibitions of international as well as local interest. It also illustrates well the efforts of the small but dedicated team in locating and borrowing rare and important items from individuals and major international institutions’. The Assessor said, ‘I have no hesitation in recommending that this excellent museum be awarded recognition for maintaining all interim and full standards of the Museum Standards Programme for Ireland’. 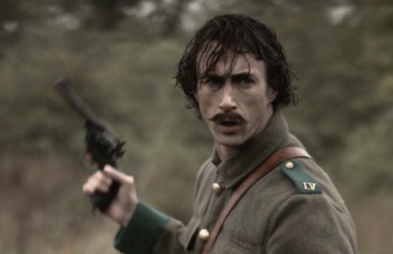 On the anniversary of the death of Thomas Ashe, Kerry Film Festival in association with Kerry County Council, Department of Arts, Heritage, Regional, Rural and Gaeltacht Affairs and Kerry County Museum will host a symposium on Thomas Ashe followed by a screening of ‘Fingal’s Finest’. 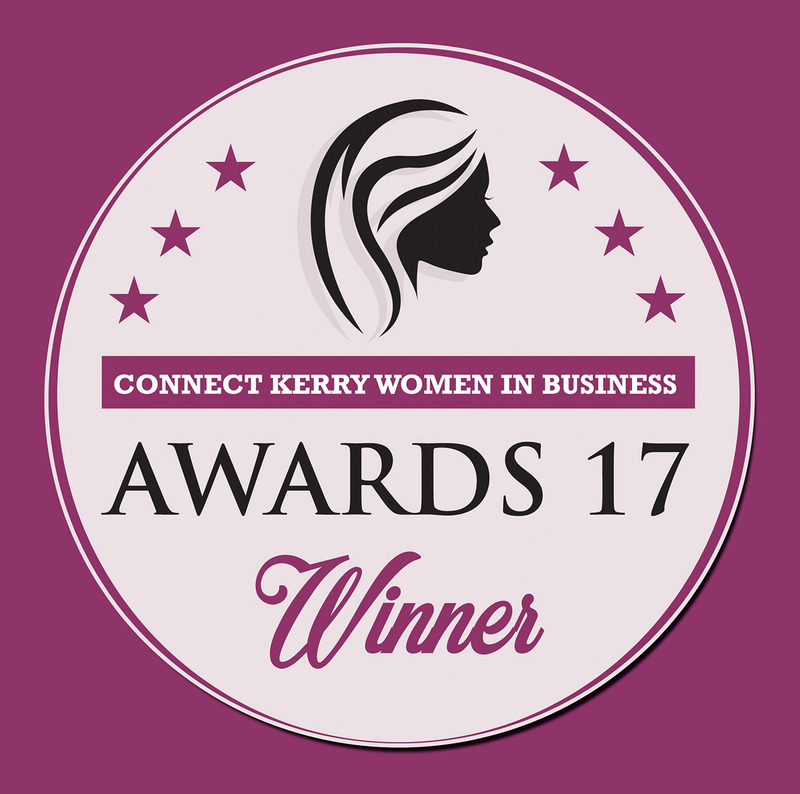 Presented by Kerry Film Festival, in association with Kerry County Council, Department of Arts, Heritage, Regional, Rural and Gaeltacht Affairs and Kerry County Museum. This weekend to celebrate ‘The Park Family Festival’ there will be free entry to the Medieval Experience. 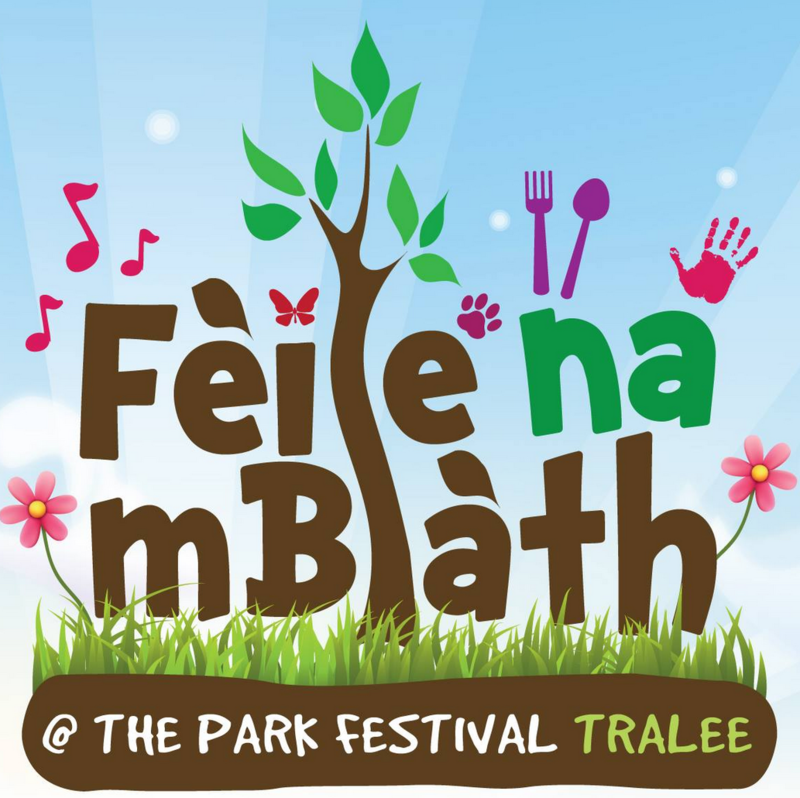 So come along and take a ramble through Medieval Tralee. Experience the sights, sounds and smells. 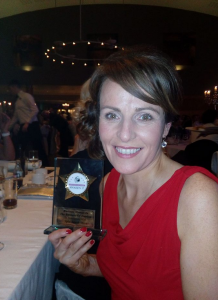 Congratulations to our wonderful marketing officer Sandra Leahy who recently won ‘The Business of Tourism Award’ with Connect Kerry. 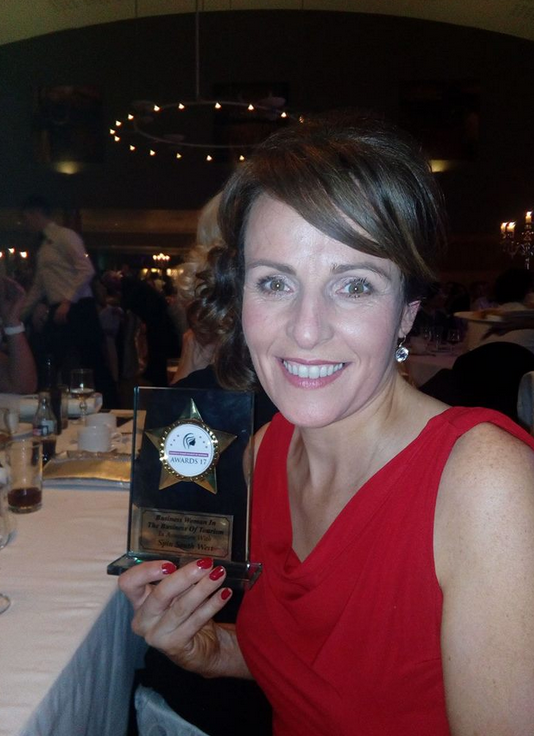 Sandra is always hard at work promoting the Museum and all other Tralee activities throughout the country. 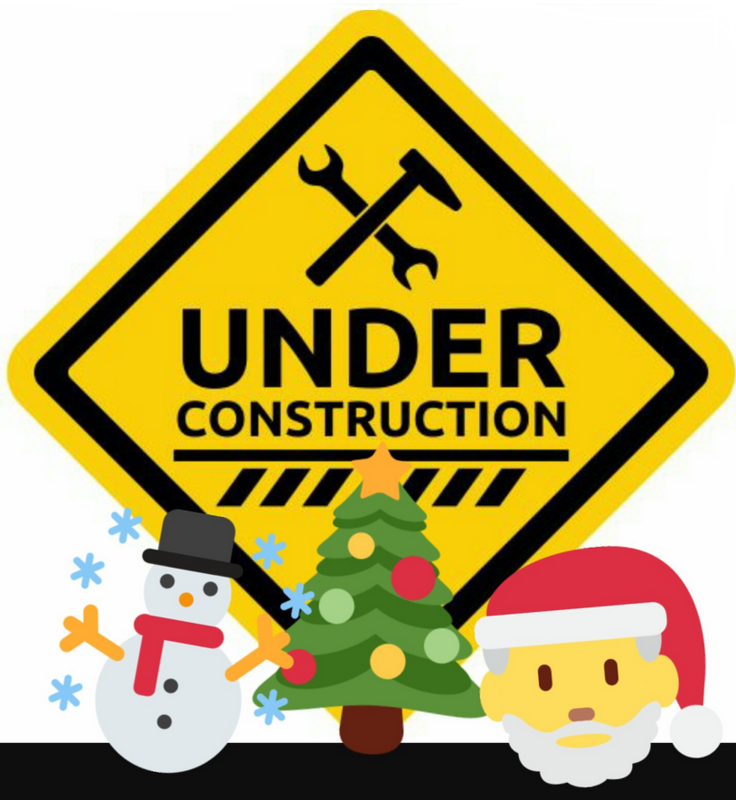 Kerry County Museum will close at 4:30 pm on Friday 23rd December 2016 and will re-open to the public at 9:30 am on Tuesday 3rd January 2017.